Run ElectroPlan on-line using ERICOM® Desktop – This service allows you run any Windows application in your browser from any operating system (Windows, MacOS, Linux) or use Remote Desktop Connection for Windows or Mac. Dropbox and Google Drive – store, access and share your ElectroPlan files directly from your on-line drive. Share your work between computers. Share you work with colleagues. Ensure your ElectroPlan files are safe from computer malfunctions. Access your ElectroPlan files from any location. 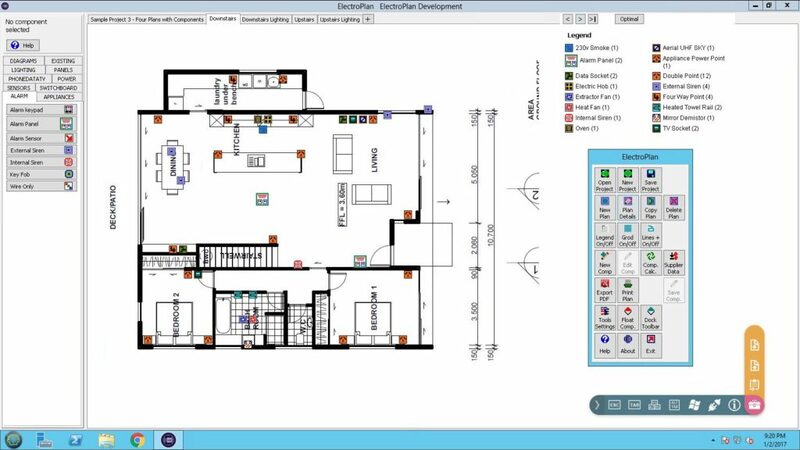 The image below shows ElectroPlan running full screen in a browser with the tool-bar (blue frame) floating to give maximum height for the plan area. The grey/pink/yellow tool-bar below and to the right of the floating ElectroPlan tool-bar is the Desktop tool-bar menu with icons to access various Desktop functions. If you want to pursue this option with ElectroPlan please follow the link above for more information about ERICOM® Desktop. Also, please contact us at ElectroPlan and let us know about your experience with ERICOM® Desktop, including any problems, as we are keen to know how many ElectroPlan users would benefit from having ElectroPlan as an on-line application. ElectroPlan functions in the same way as it does on a Windows desktop with performance very dependent on your internet connection speed. This is the ERICOM® Desktop with no applications running except the Desktop Explorer. It shows the applications you have installed as well as the default applications, Chrome, Adobe Reader etc. You can install other Windows applications besides ElectroPlan. If you need any assistance with, or have any questions about setting up ElectroPlan on ERICOM® Desktop please contact us at ElectroPlan. If you want us to set ElectroPlan up for you we can do that for you and invoice you for the time involved. Some – How To’s for getting started with ElectroPlan on ERICOM® Desktop. 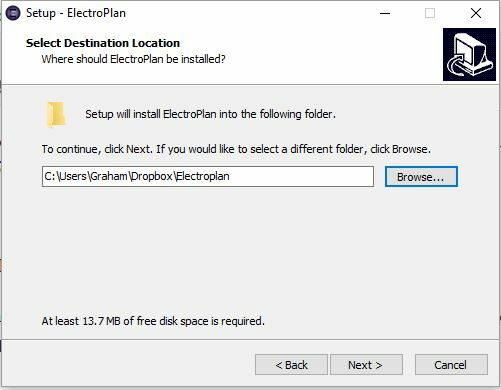 The files you download from the ElectroPlan website to install or upgrade ElectroPlan need to be uploaded into the ERICOM® Desktop environment so they can be run to install or upgrade ElectroPlan. Here are a couple ways to do that …. Use the Upload Files icon on the desktop tool-bar to upload the file from your PC to the Downloads folder under Favorites in the Windows Explorer. Open the Downloads folder and double click the file to start the install or upgrade process as if you were working on your own PC. Download the install or upgrade files directly using the Chrome browser which is already installed on the ERICOM® Desktop. Navigate the browser to electroplan.co.nz and go to the Free Trial or Upgrade pages and complete the entries in the right hand sidebar. By default the download will be saved to Downloads under Favourites. Click on the Explorer icon in the lower task-bar and find the Favourites >> Downloads folder and double click the downloaded file to start the install or upgrade. (1) From the email you received from ElectroPlan, copy and paste the details to the ‘Registration Details’ tab in the ‘Tools and Settings’ window. (2) From the email you received from ElectroPlan, save the attached file ElectroPlanRegistration.TXT to the D:ElectroPlan folder while ElectroPlan is not running and then start ElectroPlan. The registration details will be read from the file on start-up. Follow these steps to add access to Dropbox or Google Drive to your Windows Desktop ..
Download the Windows client software to your computer. For Dropbox use this link … Download Dropbox or google “Dropbox on Windows” or similar. For Google Drive use this link … Download Google Drive or google “Google Drive on Windows” or similar. Once you have downloaded the client software and run the install process you should see Dropbox or Google Drive within Windows Explorer under Favorites. If you click the Dropbox or Google Drive entry under Favorites you will be taken to the drive contents under your Windows user login name. 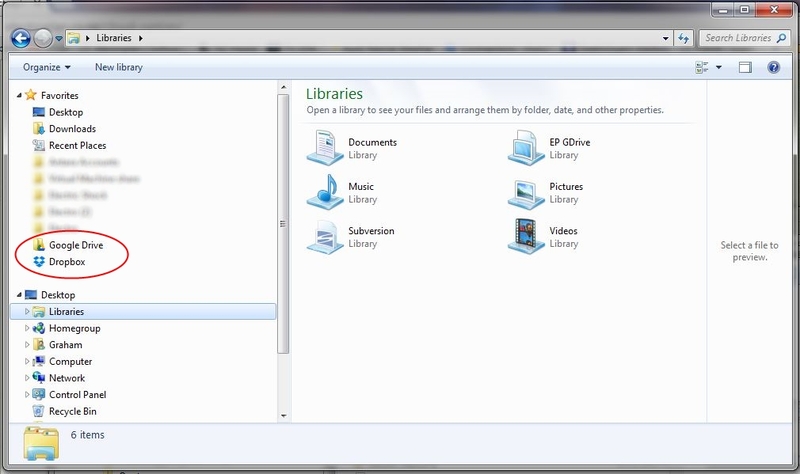 All ElectroPlan files are located on the Cloud Drive folder. Typically the path to ElectroPlan as seen within the Windows files system is something like the paths below. 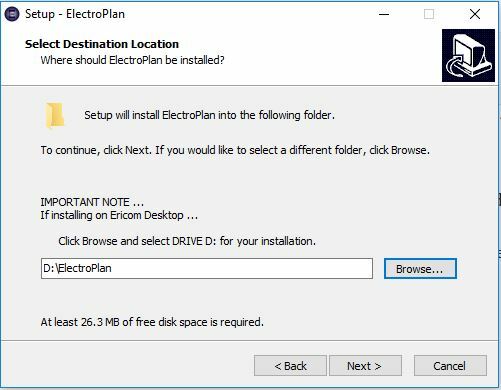 ElectroPlan is run from this location by creating a shortcut to the application file ElectroPlan.exe in the ElectroPlan folder, or you can use any other method within Windows for starting applications.  As ElectroPlan has started from the Cloud Drive Folder, all the file updates that occur as the system runs, are synced over the internet to your Cloud Storage. 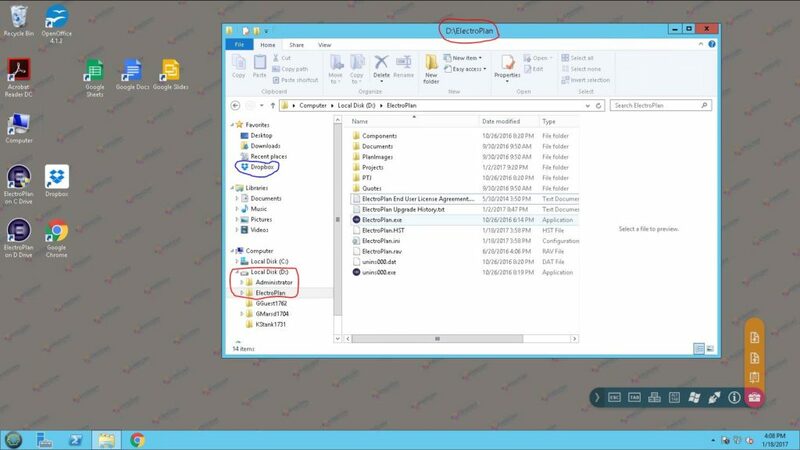 To set this up you can either install ElectroPlan in the Cloud Drive Folder directly or copy the ElectroPlan folder and all sub-folders from the installation on your computer’s hard drive. Typically this will be the folder C:ElectroPlan. Once the files have been copied to the Cloud Storage be careful NOT to run ElectroPlan from this local hard drive again as the file content there will be more and more out of date as you work from the Cloud Storage Folder. Best to delete any shortcuts that point to that location and set up new ones for the new Cloud Storage Folder. The response time for file based activity will vary according to your internet connection speed. All ElectroPlan files are located on your computer’s hard drive, ElectroPlan is run in the normal way from your hard drive exactly as per the standard install procedure. When you have finished an ElectroPlan session the ElectroPlan folder and all sub-folders are copied to the Cloud Drive – effectively creating a backup of your ElectroPlan files in the Cloud. When new versions of ElectroPlan become available you can do the update in the normal way the only thing to be aware of is to navigate to the correct folder to install the upgrade. At the third screen in the upgrade process (after the License Agreement) click the browse button and navigate to the Cloud Storage Folder. The path will be similar to that shown in the image with your login name and Dropbox or Google Drive. For multi-user situations all users should be out of ElectroPlan when the update is done and should find that are on the latest version of ElectroPlan without having to to the upgrade on their computer. The folks at ElectroPlan make sure that the program always works the way you need it too! They are very good at providing updates for your every need. 1st Choice Protection Systems, LLC. Use it daily for all our electrical plans. ElectroPlan has made a huge difference to our firm. Not only does it allow our electricians to work off professional,easy to read drawings but it provides a sharp professional image to our clients. We would not hesitate to recommend this software to a firm looking to improve the quality of their plans. I used to do my quotes on the kitchen table… Bits of paper, scrappy plans with different coloured highlighters, clunky spreadsheets, lots of hassles. With ElectroPlan, I can do it all in less than half the time and get an accurate, well presented quote with the added benefit of a layout plan which is clear for the client and also my staff to follow. A real job winner!